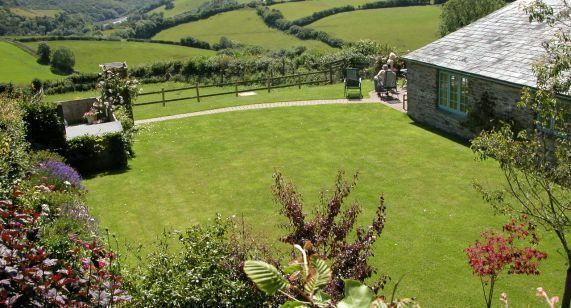 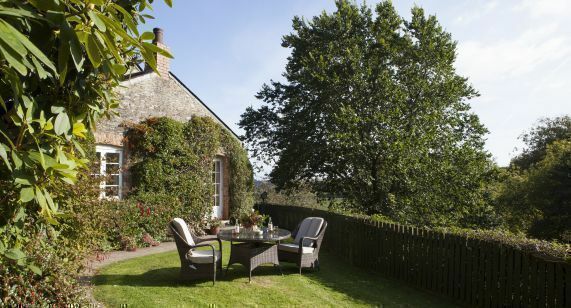 Some 200 years old, Hollyhock enjoys spectacular views from the bedroom and sitting room. 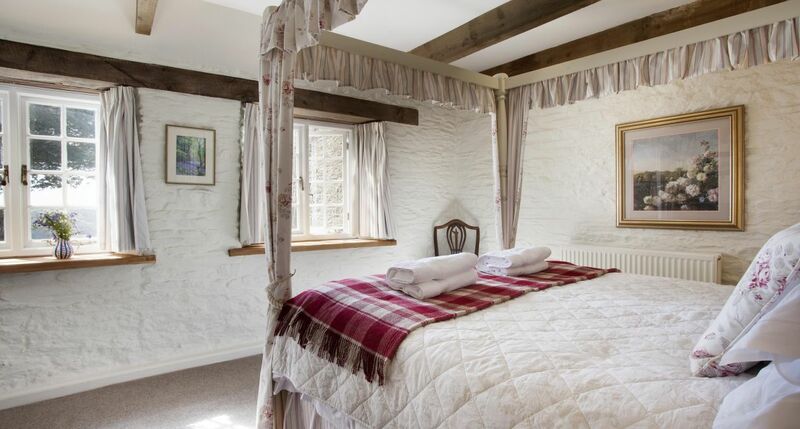 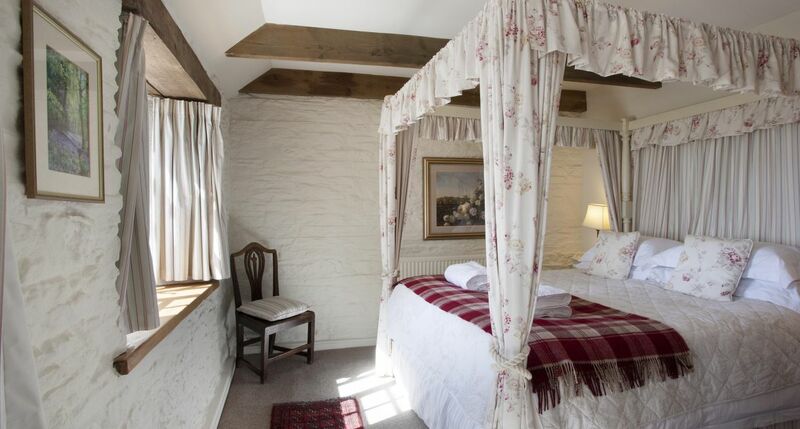 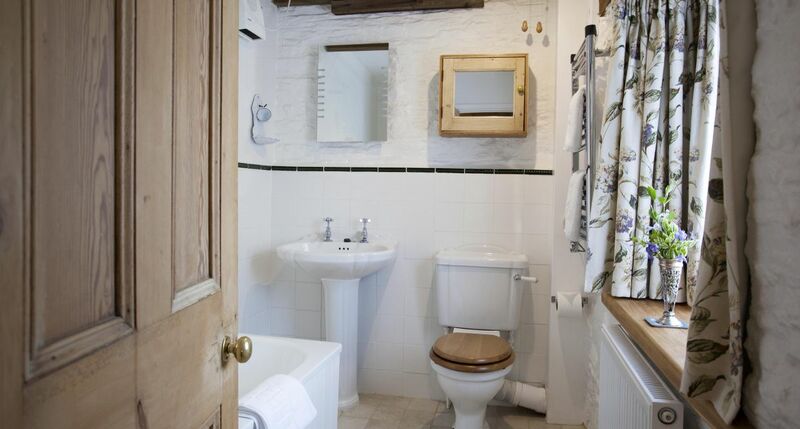 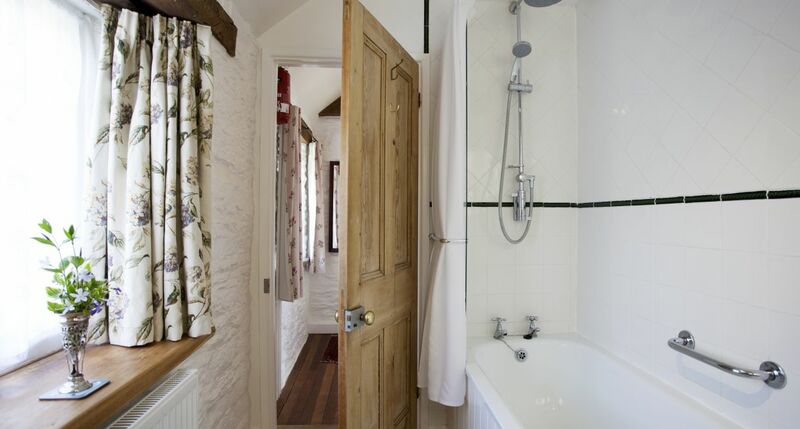 Upstairs, you’ll find a romantic bedroom with a draped four-poster king-size bed, (river views from your bed) and a cosy, pretty bathroom with shower over the bath. 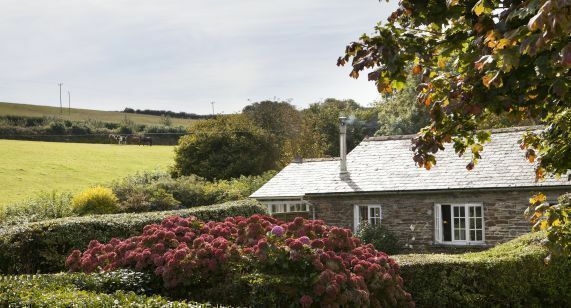 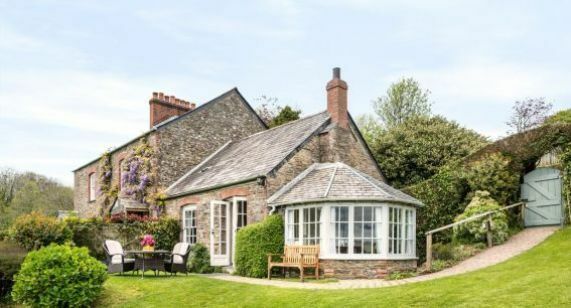 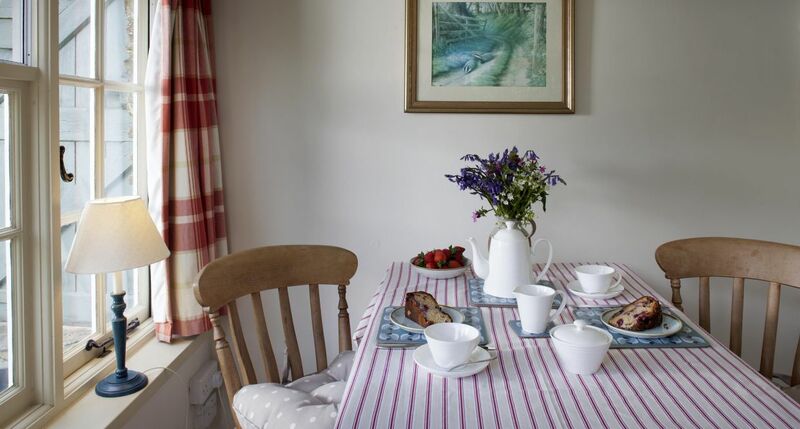 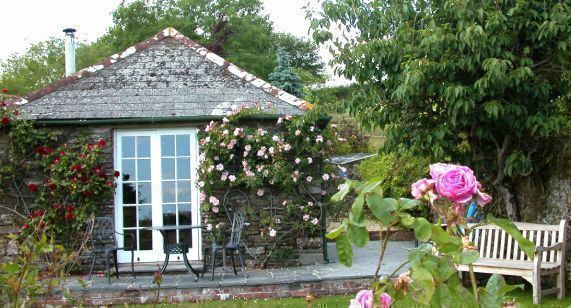 Downstairs, you enter from your garden into the pretty slate-roofed conservatory, used as a dining room, and through into the kitchen and sitting room. 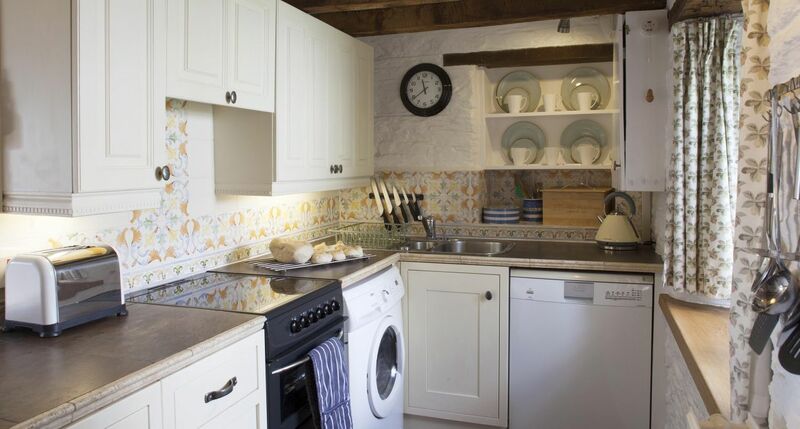 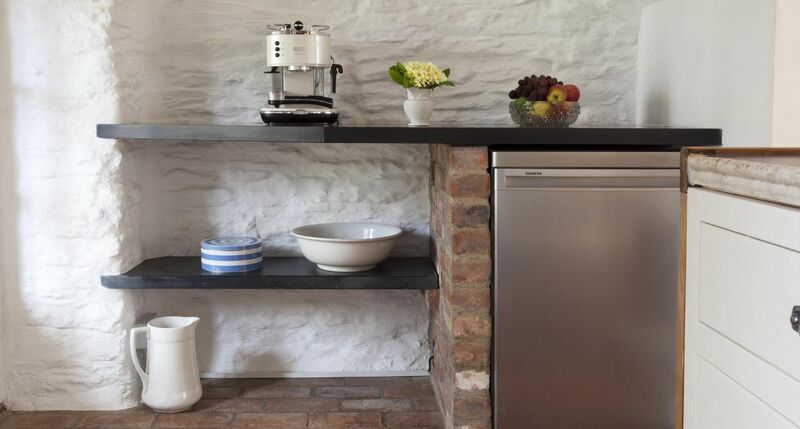 The fully-equipped Shaker-style fitted kitchen also has a huge chunky slate bespoke worktop and a reclaimed brick floor. 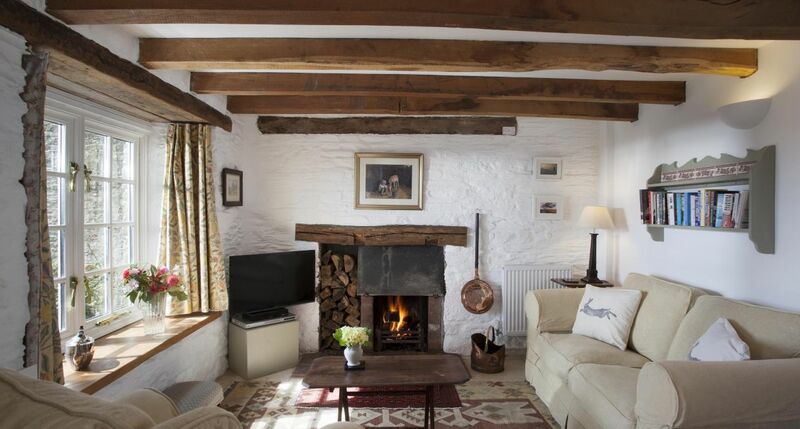 In the sitting room, there's an open hearth fireplace for romantic evenings by a log fire, twisted oak beams, a comfortable cream loose covered sofa and armchair, antiques, table lamps, pictures, freeview TV, DVD, hifi and books. 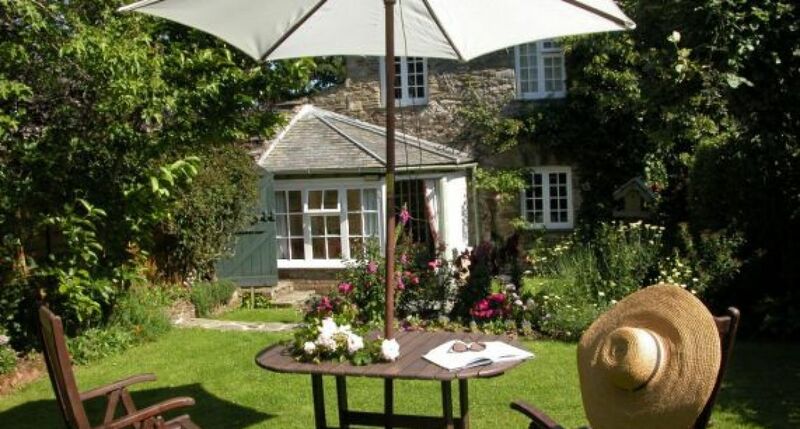 Outside you have a patio and sunny traditional cottage gardens to the front and rear. 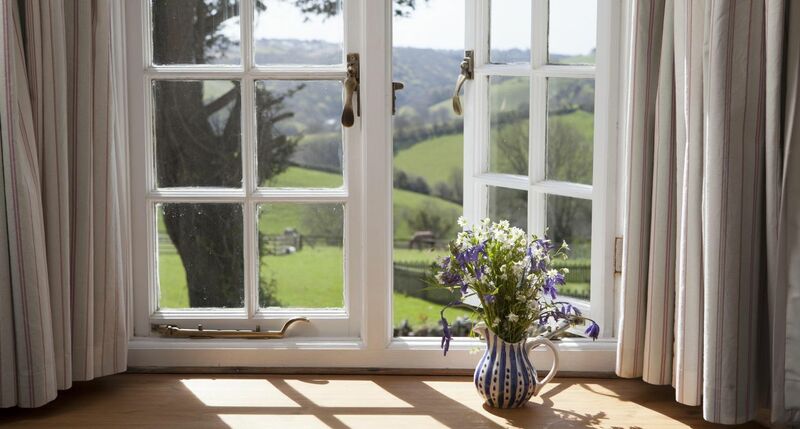 Hollyhock's original features and stunning views give it a unique, home-from-home character.